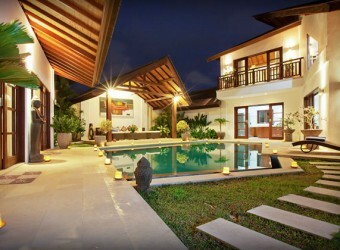 Bali Hotel Villa Origami is Perfect located in the heart of Seminyak. There is peace and quite atmosphere in Villa. As its name suggest the villa roof design by Japanese paper craft 'Origami'. Villa pool has kids space too so you can enjoy the time with your family.